From green technology and sustainable solutions to its efforts to curb pollution and instil more natural diversity, Denmark is known as a global leader when it comes to the environment and climate strategy. But with the COP21 Climate Conference in Paris just around the corner, a paradigm shift in environmental policy by the new government is threatening to tarnish Denmark’s reputation as a sustainable trailblazer, according to some of Denmark’s leading experts. Since the new Venstre-led government came to power in June, it has proposed bringing back the registration tax for electric cars, scrapped plans for a new light rail system in Aalborg and cut funding to the national research budget for the environment and green energy. Furthermore, in a bid to help the nation’s struggling agriculture sector, the government has repealed the environment-friendly waterway law, fought to reduce Denmark’s ammonia emission obligations, and allowed farmers to use more fertilisers on their fields. 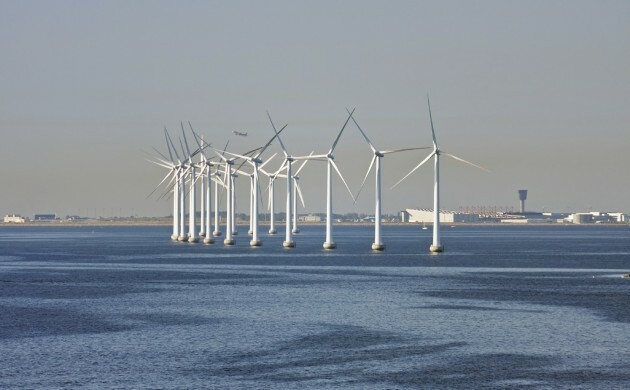 Local green efforts are seeing their budgets slashed and the government revealed that it intends to reduce Denmark’s CO2 emission ambitions by 2020 from 40 to 37 percent. Christian Ege, the secretariat head of the ecological council Det Økologiske Råd, contends the government’s shift in policy could have considerable long and short-term implications for Denmark in the future. “They cut research in the green fields – climate, energy and the environment – and this could have a massive long-term impact,” Ege told the Weekly Post. “In the short-term, what they are preparing to do regarding agriculture and the water environment will have a large impact including more nitrate pollution, more ammonia evaporation and the degeneration of biodiversity due to more intensive agriculture involving animals. Ege contends that the government’s aim to slash the Danish 2020 goal would mean a postponement of any limiting actions towards the agriculture and transport sectors. Rather, the reduction will be found via the energy sector alone. Ege underlined Venstre’s traditionally strong ties with the agriculture sector and pointed to the government’s recent election campaign as a blueprint for what they intended to do. “They promised in their campaign to improve the economic conditions in agriculture, but it’s not environmental requirements that are hampering agriculture, it’s their own economic failures before the financial crisis,” he argued. However, Mikael Skou Andersen, a professor from the Department of Environmental Science at Aarhus University specialising in comparative environmental politics and economics, argues that the green alarm bells could be going off a bit prematurely. “It’s still too early to see exactly how clear the shift will really be. The Konservative party recently signalled that they wanted to maintain the 40 percent greenhouse gas reduction target. They also disapproved of the proposal by the Energy and Climate Ministry to award sceptical environmentalist Bjørn Lomborg with another government-funded institute,” said Andersen. Andersen said the government was trying to get around its minority position by circumventing Parliament and making cuts more administratively, such as the relocation of government agencies to western Denmark, which will especially weaken the nature and environment agencies. But should the opposition parties put forward ideas that will foster more jobs without having to slash the green sector, said Andersen, the government has voiced an inclination to compromise. However, coming up with the figures to prove that will take time, and it will probably be a while before the extent of the consequences of the government’s actions become clear. Elsewhere in the Commonwealth, however, things are more lucid. Earlier this month, the Faroe Islands revealed it had set a goal to be 100 percent reliant on sustainable energy by 2020. Now that’s ambition. The Weekly Post contacted both the Environment Ministry and the Food Ministry, but neither responded to our inquiries.